What's not to love about bacon? 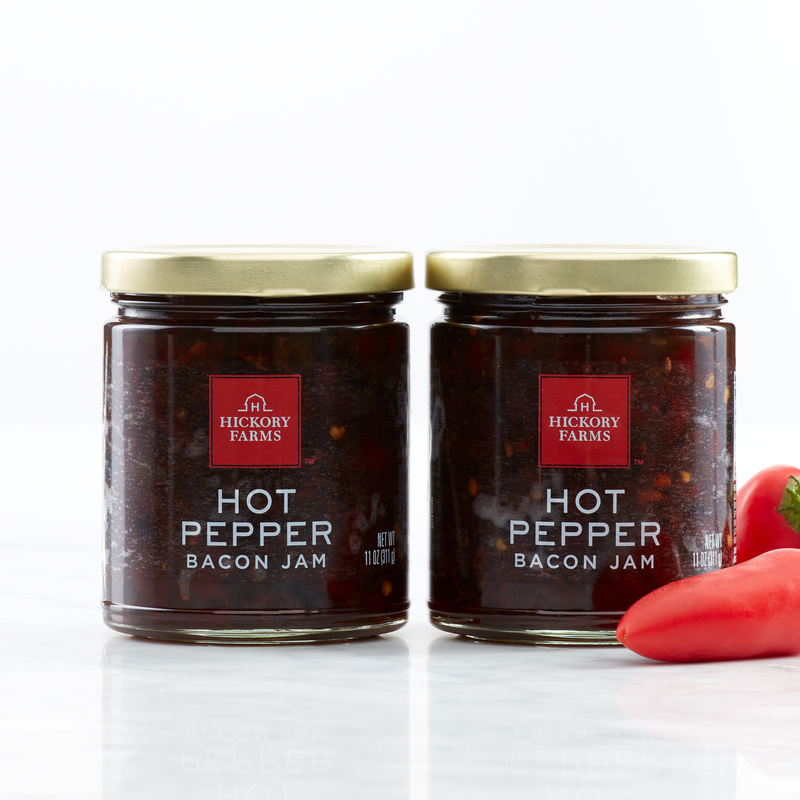 Our Hot Pepper Bacon Jam has just the right amount of spice with roasted red pepper puree, jalapeño peppers, and real smoky bacon. For a quick appetizer, pour over cream cheese and serve with crackers. This jam pairs perfectly with strong cheeses and is delicious served as a condiment on a sandwich, wrap, or panini.